Between 1940 and 1945 the Nazi government placed children who they deemed superfluous: orphans, socially maladjusted or “racial degenerates” at the clinic Spigelgrund, a part of the great hospital complex Steinhof in Vienna. Weak and critically ill children became the test subject for careerist doctors who preformed gruesome experiments on them before they were put to death. In his novel about this micro cosmos in Nazi Europe, Steve Sem-Sandberg focuses mainly on two different characters. One is inmate Adrian Ziegler and the other is Anna Katschenka, a nurse at the clinic. Both of them irreparably damaged by their horrible circumstances but each in their own way. De utvalda (The Chosen Ones) is a new chapter in Steve Sem-Sandberg’s on-going novel about Europe during the second World War. If death was the norm in The Emperor of Lies (De fattiga i Lódź) than survival became a lifelong exception for the ones who were saved from Spiegelgrund. Although, the novel is based on a foundation of facts, it is not meant to be read as a historical record nor a documentary of the times, but as a novel about actual lives being lived. 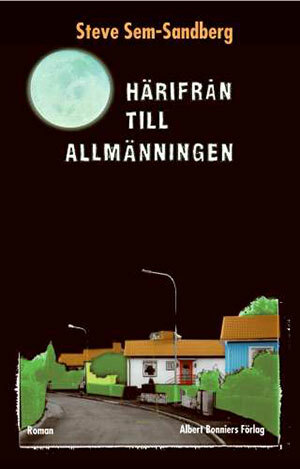 First published by Albert Bonniers Förlag, Sweden, 2014. Like the novel, “The Emperor of Lies”, that came before it, “The Chosen Ones” is a polyphonic story, located between the historical and the fictitious. Steve Sem-Sandberg takes us so close to the children that were sacrificed for the Nazi ideology of preserving the Aryan race. This very strong novel rests heavily on thorough and rigorous research work. Through brilliant writing, the author makes us live through the same story as his characters while witnessing the atrocities of the treatments they had to endure. This moving book is for reading and never forgetting. Nobody can come out unscathed after reading this novel that honours the children tortured during the Second World War. One distressed young face among many others, Adrian Ziegler joins the throng of children admitted to the impressive Am Spiegelgrund clinic in newly Nazified Vienna, a throng needing treatment for serious psychological and physical illnesses. But it is ominously irregular treatment that these young patients receive. In this intensively researched historical novel, readers follow Sem-Sandberg (and his adept translator) into a nightmarish Nazi inversion of medicine subjecting innocent children such as Adrian to inhuman experiments and—in hundreds of cases—to eugenically rationalized euthanasia. An open window allows Adrian to escape and survive, but readers see the horrid abuse and systematic liquidation of other Spiegelgrund patients judged a burden to the Master Race. But not all Spielgelgrund professionals act as Nazi ideologues. 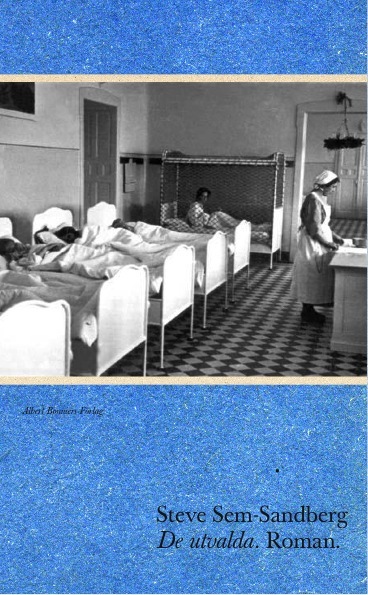 Complementing the narrative he develops from Adrian’s perspective, Sem-Sandberg unfolds a tangled second narrative from the viewpoint of Anna Katschenka, a devoted nurse shocked by the discovery that Spiegelgrund employees must execute designated patients. After Allied victory eventually shuts down Am Spiegelgrund, surviving former patients (such as Adrian) struggle with their emotional burdens, and former staff members (such as Anna) confront their guilt. And an entire nation fights the amnesia that would swallow the innocent dead. A harrowing chronicle. 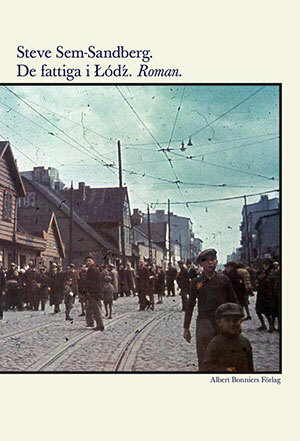 In Sem-Sandberg’s previous novel, The Emperor of Lies, the Swedish writer took as his subject the Łódz ́ ghetto in Poland during WWII. In his latest, he revisits the savagery of that war by focusing on Am Spiegelgrund, a real-life Viennese clinic where children “diagnosed with mental illness, mental retardation, or severe malformations” were the victims of Nazi eugenics and euthanasia programs. Epic in scope, the novel follows Adrian Ziegler a “patient” of the institution, as he lives there off and on from January 1941 to May 1944, and Anna Katschenka, a nurse who works in the clinic from 1941 until the Russians reach the city at the nurse who works in the clinic from 1941 until the Russians reach the city at the war’s end. Adrian, thought to be of inferior racial stock, with a “Gypsy-type” skull and ears that exhibit a “Semitic curvature,” undergoes the brutal torment and abuse the staff inflict on their charges. He suffers endless cruelty and sexual abuse and bears witness to the murders committed within the clinic’s walls. Anna is a loyal disciple of Dr. Jekelius, the medical director, who unquestioningly becomes party to the Nazis’ state-sanctioned policy of euthanasia, which is, as the doctor tells her, “acts of mercy in the spirit that has always guided medical science, that is to ameliorate or remove sources of pain and suffering.” The novel’s horror is not merely that the crimes it relates are true but the way the most unspeakable atrocities can be committed by the state under the guise of science. With a gift for finding humanity in even the darkest of stories, Sem-Sanberg has written an indelible, moving novel. A horror novel, of a sort, in which Swedish novelist Sem-Sandberg (The Emperor of Lies, 2011) returns to the Holocaust to limn its essential inhumanity. Under orders from the newly imposed Nazi regime, doctors at an Austrian clinic are euthanizing the sick children under their care, using lethal injections to dispose of the innocent victims, but not without a few experiments in “encephelography” and “hereditary biology” along the way. Leading the charge is a sadistic doctor, Jekelius, whose only redeeming feature is that his successor is worse. With the doctor’s name, it may be that Sem-Sandberg means for us to think of Dr. Jekyll, but there is not much in the way of a countervailing good force to balance the monsters that stroll the halls of Am Spiegelgrund unhidden. At the center of the story is a young patient, Adrian Ziegler, who watches as, one by one, children disappear from their beds and whose faces he cannot recall: “When Ziegler is shown photographs of the boys, he recognizes most of them but can’t for the life of him work out where or when he has met them.” Occupying much of the story, though, is a figure for whom our empathy builds, only to be shattered, a nurse named Anna Katschenka, who is “efficient, unswervingly loyal and invariably sensible.” She bustles about the ward doing her job, the proverbial good Nazi who was only following orders. Anna at least has a sense of the moral disorder that surrounds her work, and though, years later, on trial for war crimes, she pleads that she is a “decent human being,” we understand that that is true only in a relative sense. There is much evil in the book, and much of it is banal indeed. Making every word count, Sem-Sandberg explores the psychologies of captive and captor, the complexities of bearing witness to things that most people would sooner forget. A memorable meditation on the human capacity to do ill—and to endure. You don’t so much read Sem-Sandberg as stand in the fiery wind of his prose. He makes his reader strangely complicit in his terrible subjects. He does not offer that tattered lifebelt of “redemption” so often thrown to the modern reader, nor much space to rest your reading eyes; but his books are only merciless because the great swaths of human enterprise they chart are themselves merciless. Some novels are described as dark, in order to alert the reader. But this novel, translated into English by Anna Paterson, is as bright as a cloudless June sky under which, behind walls and doors, we go about our inexplicable human business. “The Chosen Ones” is meticulously researched and laden with history but such is Sem-Sandberg’s skill that it does not feel this way: he jumps between his characters and weaves the historical details into their conversations, thoughts and actions. It’s an education but do not approach this book lightly. This is historical fiction at its most raw and disturbing. Some books create a world in which you want to stay forever and others create one so painful that you are prepared to do almost anything to escape the reading all the while getting sucked in by a forceful necessity. 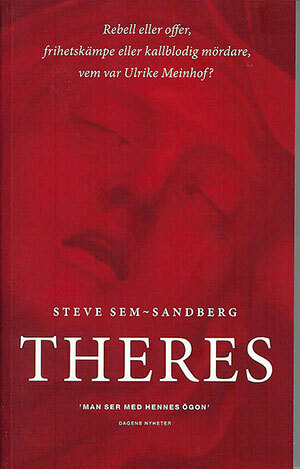 Steve Sem-Sandberg’s novels belong in both the former and the latter category. That is usually the case with great literature. ‘The Chosen Ones’ is rich in drama and people who are portrayed with great empathy, sympathy and humanity. It’s a novel with a proper drive. Like his previous novel, ‘The Emperor of Lies*, which described life in the Lodz Ghetto, Sem-Sandberg’s new book is also documented strongly. But at the same time the writer has coloured the facts, to give a voice to the voiceless victims of history. In this he has succeeded brilliantly. He portrays the hard lives of children who were doomed in advance because of their ethnicity and health. Sem-Sandberg’s detailed account of life in this closed Nazi microcosm is a chilling monument. ***** Reading this book will have you gasping for breath every time you put down the book and look at your child or grandchild. ***** Reading this book is an act of justice for the little wretches who fell into the hands of the Nazi scum. ***** Sem-Sandberg succeeds in being both masterfully careful and extremely intrusive when he creates this world that doesn’t leave the reader unmoved for one second. **** Claustrophobic, hard and barely tolerable, but always compelling and never over-emotional – an equally impressive as brave monument against forgetfulness, injustice and eternal death. ***** This book is an impressive tribute to all the children who were imprisoned, tortured or murdered by the Nazis for the upgrading of the Aryan race. The book is a fictionalized documentary, a thrilling and chilling testimony of Nazi racial policy, which was also a dress rehearsal of the Holocaust. The old truth about reality being stranger and more horrible than fiction comes into force in Steve Sem-Sandberg’s new documentary novel. What makes ‘The Chosen Ones’ great – besides its literary qualities – is its expansion of the history we already know. An intelligent and precise rendering of the circumstances in which political conditions make us both victims and perpetrators. A text that at its best succeeds in bringing the reader closer to the essence of Nazism than any other fictional work I can ever remember reading – lets say – Sebald’s Austerlitz. That is an impressive feat. He never overreaches himself to baroque emotions, but describes rather detachedly, yet with much compassion, how it must have been in this terrible place. ’The Chosen Ones’ is, despite the programmatic in the book, an achievement that also impresses with its compassionate portrayal of people on all sides. Even the many children are clear characters. Sem-Sandberg’s story has both a striking breadth and depth, and you carry several of his characters with you a long time after finishing the book. He portrays them all with a detailed poignancy and understanding, patients as well as staff and the institution management. And they are not the only ones, in similar fashion he breathes life into the place, the time and the atmosphere. 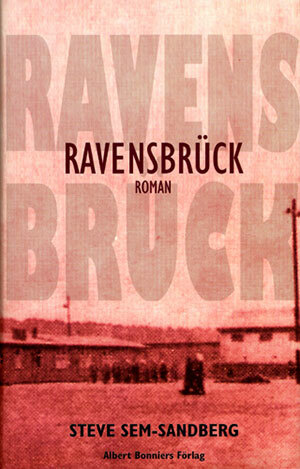 The reader is transported to Vienna before, during and after the war. Because what this novel manages to achieve in the first 550 pages is to capture the reader in a vise of merciless credibility, where the author’s empathy for the most crippling pain, the most bottomless humiliation, the most chaotic helplessness calls out a despair and a powerless anger that makes our cozy living room walls vibrate with shame and guilt, 70 years later. Steve Sem-Sandberg’s latest novel cannot, in authenticity, measure up to the self-experienced testimonies that Nazism’s victims convey. But I know of no other contemporary author anywhere in the world who, with such a symbiotically congenial and hallucinatory sensory transmission, succeeds in portraying the tormented’s experiences to the innermost core of that pain. A disconcerting novel of the kind you will not easily forget. And forgetting is what we must never do. 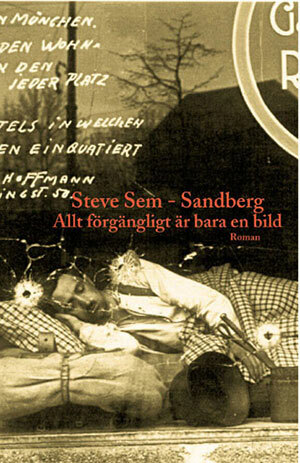 Steve Sem-Sandberg’s novel has an impressive weight, a documentary and absolute thoroughness that never falls into the pit of archive boredom but maintains its human appeal. Steve Sem-Sandberg manages to revive a lost time, he gives a voice to the ones crushed, killed or forever damaged underneath history’s merciless wheel. The mechanics that Sem-Sandberg uncovers with precision and terrifying concretization is nothing short of a literary feat of strength and that on an international level. Aside from the many poignant fates, Sem-Sandberg manages to above all capture the mechanics – the blind obedience, the total absence of critical thinking – that quickly and effectively breaks down every attempt at independence and demonstrates the internal ability in every person to blindly and obediently practice the most grotesque evil. “The Chosen Ones” is simply a masterpiece that nobody should abstain from reading. It should be without a doubt that Sem-Sandberg (Carl-Henning Wijkmark must excuse me) is Sweden’s foremost interpreter of a past and present Europe. Kant’s ethics – duty above all – is punctuated here. Punctuated and perverted. 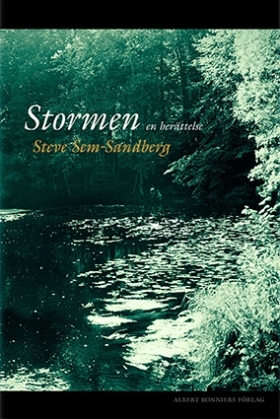 Steve Sem-Sandberg preforms a memory work with vast gravity and admirable warmth. He even succeeds in getting the reader to touch lightly on an understanding of the mentally switched off head nurse. He gives her an origin and a situation in life that neither explains nor forgives, and yet makes a person our of one of the civil war’s pawns. The responsibility is shared by many, but the survivors cannot escape their memories, they are imprinted for life. “The Chosen Ones” portrays cruelty, but not in a straightforward manner. The narrative structure is intricate: there is an all-knowing voice, but it breaks seamlessly into the boys’ minds, transforms into a subjective statement from within the disorientation and confusion. Then the narrator switches focus and is once again the all-knowing voice. Tirelessly. The story pours forth, like the river that plays a concrete role in the end of the novel as well as the war. As the novel nears its end and starts sprinting through the decades the prose becomes clearer, more descriptive. The present becomes transparent and comprehensible while the intensity of the war years is accumulated to a concentrated, almost delirious swamp of bad dreams. The chosen ones and ours.